Texas In July have announced their final tour. Joining the band on this trek will be special guests Reflections, To The Wind, and Invent, Animate. 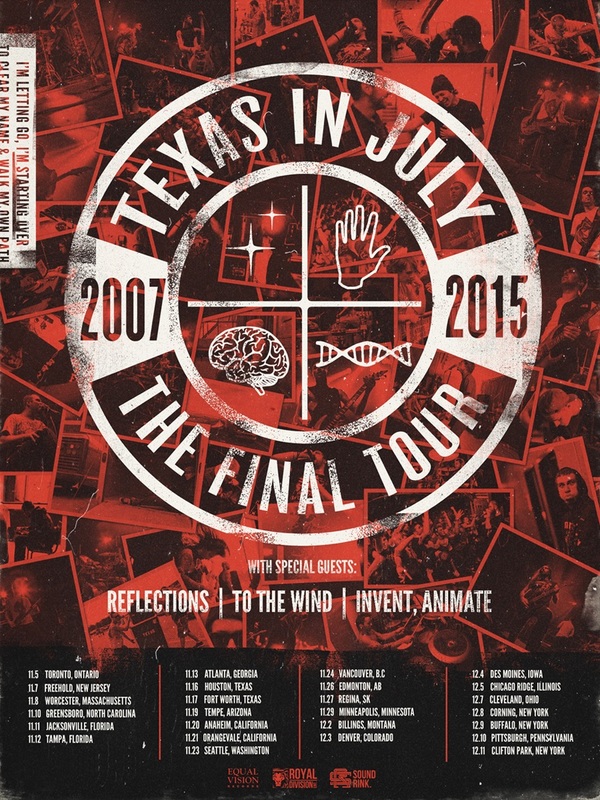 This entry was posted in News, Texas In July and tagged farewell, final tour, Invent Animate, Metal, Reflections, Texas In July, To The Wind, Tour. Bookmark the permalink.